New in for Autumn/Winter 2016 is this beautiful Pink Jasper Stone semi-precious disc. It is curved and can be layered with either a flat or curved disc to create stunning effects. 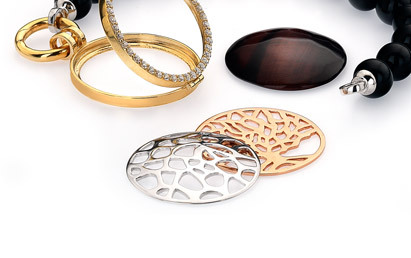 Mix and match with your favourite discs to create a look that is personal to you. Carved to size out of genuine Jasper this stone disc is smooth and cold to the touch and is a vibrant pink colour.